On 24 May 2018, Republic State Enterprise Kazspetsexport of Ministry of Defense and Aerospace Industry of the Republic of Kazakhstan and Irkut Corporation (an affiliate of UAC) signed the contract for delivery of another batch of Su-30SM multirole fighters. 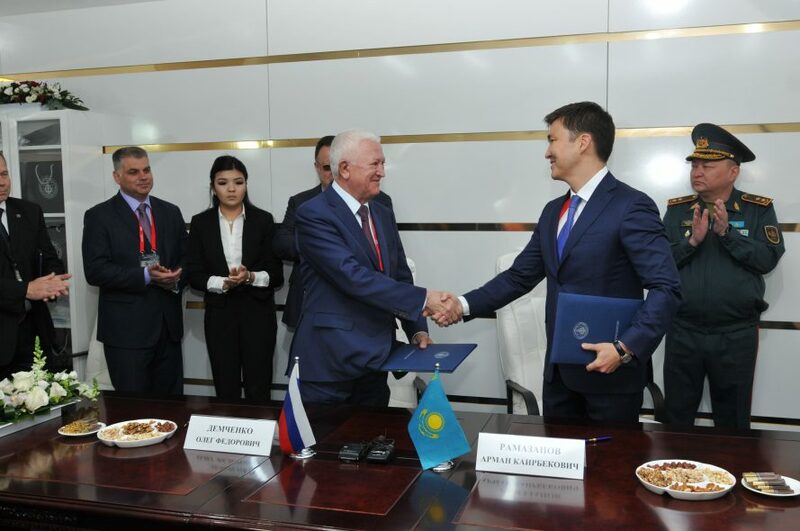 The contract was signed by the General Director of Kazspetsexport, Arman Ramazanov and the First Vice-President and General Designer of Irkut Corporation, Oleg Demchenko. The ceremony was attended by the Deputy Minister of Defense of the Republic of Kazakhstan, Lieutenant-General Talgat Zhanzhumenov. The event took place during the International Exhibition of Weapons Systems and Military Equipment – KADEX-2018 held in Astana. According to the contract, Irkut Corporation will deliver a batch of Su-30SM fighters to the Republic of Kazakhstan. The contract will be completed in 2020. These aircraft will be added to the fleet of the same combat aircraft, which are successfully operated by Air Force of the Republic of Kazakhstan. General director of Kazspetsexport Arman Ramazanov said: “Military and technical cooperation between Kazakhstan and Russia serves the interests of both states and is based on a solid legal framework established within the framework of the Collective Security Treaty Organization ”. The President of PJSC UAC and Irkut Corporation Yuri Slyusar mentioned: “We highly appreciate good relations with our partners in the Republic of Kazakhstan. I am sure, that the new contract for delivery of Russian-made Su-30SM fighters will contribute to further development of cooperation of our two countries”.